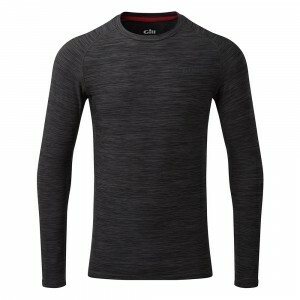 Offering protection for the most important part of the body, the Gill Thermoskin long-sleeved top us..
Soft, smooth and lightweight, the Thermogrid fabric is comprised of polyester and elastane, ensuring..
Made with an innovative combination of fabrics, this zip neck jacket is an ideal mid-layer, offering.. Combining polyester and elastane, the Gill Thermogrid gilet offers an additional layer of warmth whi..
A soft, smooth exterior is combined with an internal gridded layer to trap airflow within these ther.. This base layer has been carefully designed to ensure maximum comfort and offer light thermal protec..
Lightweight fabric provide the ultimate thermal base layer suitable for use all year round. Whether .. Permanently highly wicking. The SunShield Permanent Wicking UPF30 Long Sleeve Tee features an X-shap..
A key part in the 3 layer system is the next-to-skin or base layers. Designed to wick moisture away ..